The Floral Gardens is a family owned, full service florist. We have been in business for over 38 years. We specialize in Wedding, Parties and Events. We are fussy about our flowers and we import flowers from all over the world. We can work with any budget to make your wedding, one that you have only dreamed of. At The Floral Gardens we have a large bridal room filled with photos and samples to make the ordering process easier. To help with your budget have a complete line of rental items including hard to find chuppahs, aisle candelabras, celebration vases to name just a few. We do wedding consultations by appointment. Call 315 699 2036 to set up your no obligation wedding appointment. Mention that you found us on line and receive a FREE throw bouquet, FREE wishing well rental, and FREE use of vases for your bouquets with your wedding floral order of $200.00 or more. You will also receive an amazing 10% OFF YOUR ENTIRE WEDDING ORDER . Don't be left out. Dates fill up fast - call today 315 699 2036. "The Floral Gardens did a great job with flowers for my daughter's recent wedding. Kathy had great suggestions when we were working out all the details and I really appreciated money saving tips like using the unity candle arrangement for the sweetheart table centerpiece. We took advantage of the free loaner votive holders and card box that they offer as well. The bouquets, centerpieces, and corsages were beautiful and everything was delivered to our venue as promised. Couldn't be happier. " "Thank you so much for putting your trust in us. I am so glad that you all loved the flowers." 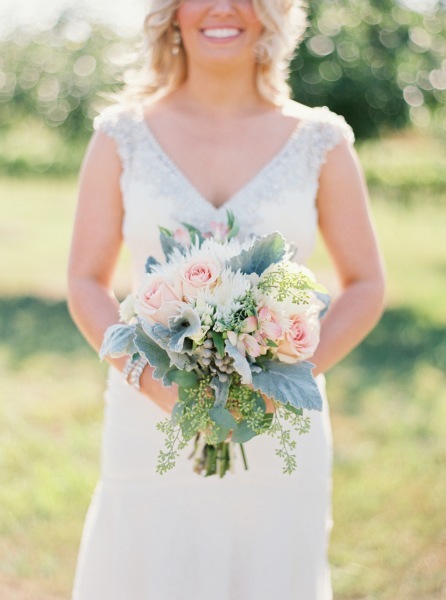 "I had my wedding flowers designed by The Floral Gardens. I can't say enough about how beautiful my flowers were. Every detail was perfect. I would recommend The Floral Gardens to anyone looking for the best in wedding flowers. I can see why they were recently voted Wedding Wire best florals of CNY for 2012! "